This well-known stalwart has been around since 1957 so really, they must be doing something right. We particularly like the good ol’ clear chicken broth (Double Boiled Treasure) as a soup base but you can choose up to four soup bases with the quadruple pot. For maximum pleasure, dip your favourite cooked ingredients in Coca’s fiery homemade chilli sauce. All three outlets are usually crowded so book ahead to avoid disappointment. Love laksa and all its creamy, spicy goodness? This outlet on Telok Blangah Road is one of the few places in the country that offer laksa as a steamboat base. The laksa gravy isn’t too thick so you won’t feel jelak after piling on the ingredients. If you still want the good ol’ chicken broth, the pot can hold two different kinds of soup, so order away. Few places do traditional Chinese fare better than Crystal Jade. It’s been a family favourite for the longest time and better yet, you can order a round or two of dim sum to accompany your soupy main at this outlet. Choose from six different soup bases (pork’s bone, tomato, curry, miso, superior, and spicy mala) before helping yourself to whatever ingredients you like at the buffet-style spread. Be warned: it’s a long wait to dine at this Sichuan-based restaurant (mostly over an hour), ever since it blew up. Don’t worry about waiting in line though. Believe it or not, you can get yourself a manicure and help yourself to free fruits and popcorn while waiting. Another highlight? Chefs showing off their kneading skills as they knead hand-pulled homemade noodles right at your table. If you can handle the heat, choose the fiery Sichuan soup base. 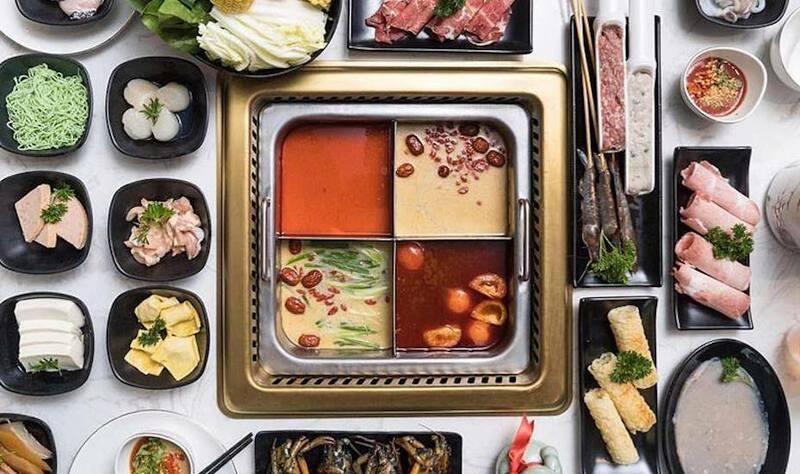 What makes mookata so awesome (and different) is that you get the best of both worlds – a barbeque steamboat where one grills meats on a metal skillet in the middle. The metal skillet has grooves on it that lead into the “soup moat”, and the juices you get from grilling the meat then flow into the soup, giving it that extra flavour. $45 gets you the smallest set of ingredients, enough to feed three people, and it really is worth it. 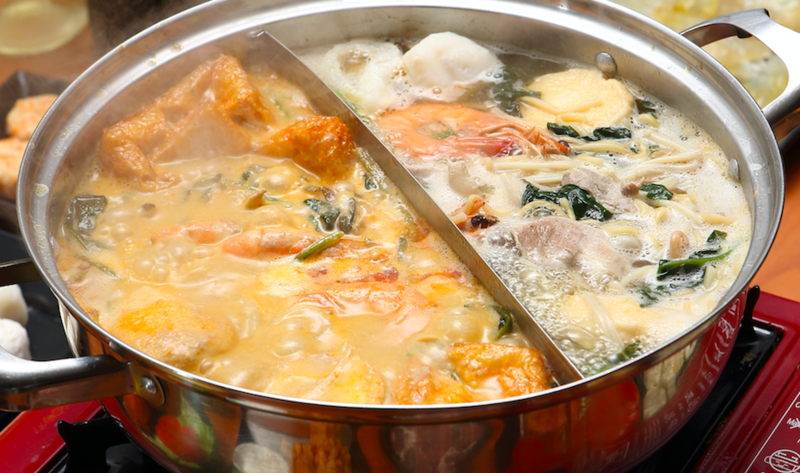 The shabu-shabu hotpot here comes with a bunch of greens and an all-you-can-eat supply of (O.M.G) fresh seafood. We’re talking queen crabs, scallops, oysters, prawns, sashimi – you name it, they have it. Carnivores can make a beeline for their chicken chunks, slices of Ibérico Kurobuta pork and (very well-marbled) Miyazaki wagyu beef. If you like a serving of gooey melted cheese with your mookata spread (think a seafood style cheese fondue), Cheese Story’s got enough cheese refills to go around the group. If you’re a seafood lover, go ahead and pile on the flower crabs, clams, scallops, mussels, prawns, crayfish and salmon. There’s also a mix of marinated pork, chicken and beef. End your meal with a scoop of ice-cream cause there’s always room for dessert. Imperial Treasure is the kind of swanky place you’d choose if you need to impress the in-laws. Signature dishes include the four treasure ball platter – a combination of prawn, cuttlefish, pork and canton specially prepared by the chef and the Imperial drunken chicken soup that’s prepared with Shaoxing rice wine, ginseng, wild yam, wolfberries and red dates. The satay, seaweed and kelp, and century egg and parsley soup bases are a cut above the usual Szechuan, pork bone and chicken soup flavours. 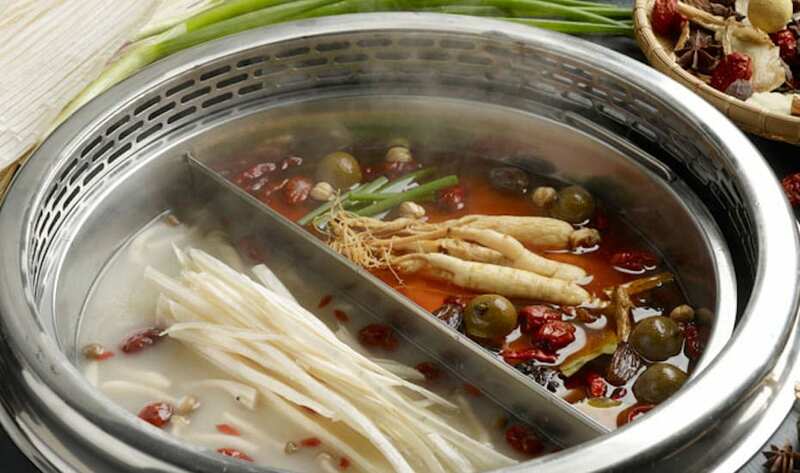 This hotpot by Paradise group offers a perfect mix of beauty and the beast of some sorts. Indulge in a pot of beauty collagen soup packed with nutrients and a nourishing spicy soup with a choice of three levels of Szechuan spices to put your tolerance for mala to the test. Robust soup bases aside, premium and homemade ingredients like melt-in-your-mouth fish tofu and fried beancurd skin are some highlights. Ready to explore beyond the usual soup bases? 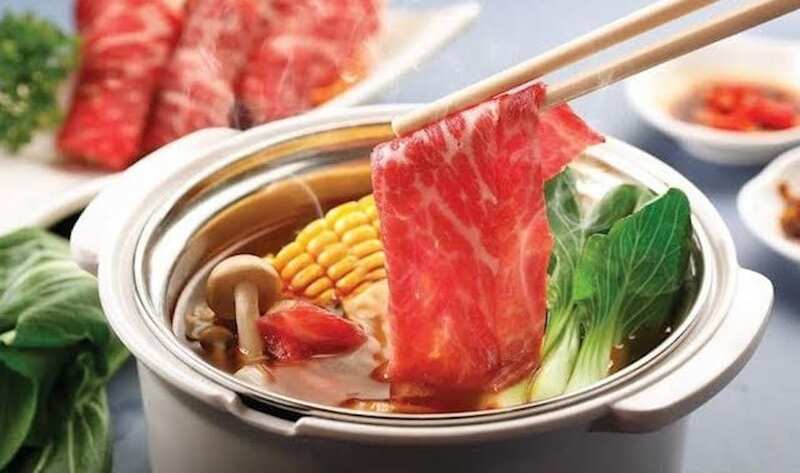 Guo Fu Hotpot in Chinatown has 11 bases for you to try – interesting flavours like elderly tonic soup, curry beef soup, and for the curious, male vitality soup definitely, pique interest. Each person on the table gets a pot to themselves so don’t hold back on your choices. And did we mention there’s free-flow of xiao long bao? Now, that’s what we call a bang for your buck. Hotpot for one? Pot Yummy Yummy is a haven for introverts – or if you’re picky about what goes inside the pot. Thanks to its strategic spot (it’s located right below our office) you’ll probably find us here on rainy days or when the craving hits. 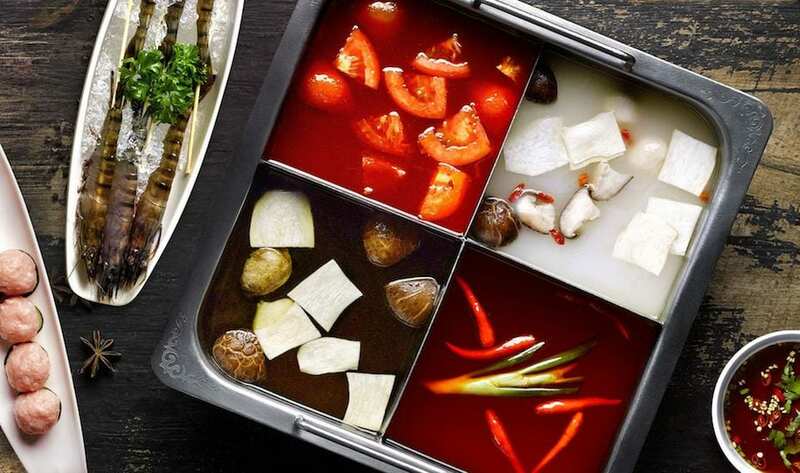 You get a mini hotpot to yourself with a choice of over seven soup bases. The ingredients are placed on a conveyor belt so just patiently wait for your faves and plonk ‘em in the pot. The set lunch deal includes meat of your choice (we always go for the Australian beef slices) and up to six ingredients from the conveyor belt. Crazy about the whole collagen-gives-you-beautiful-skin business? 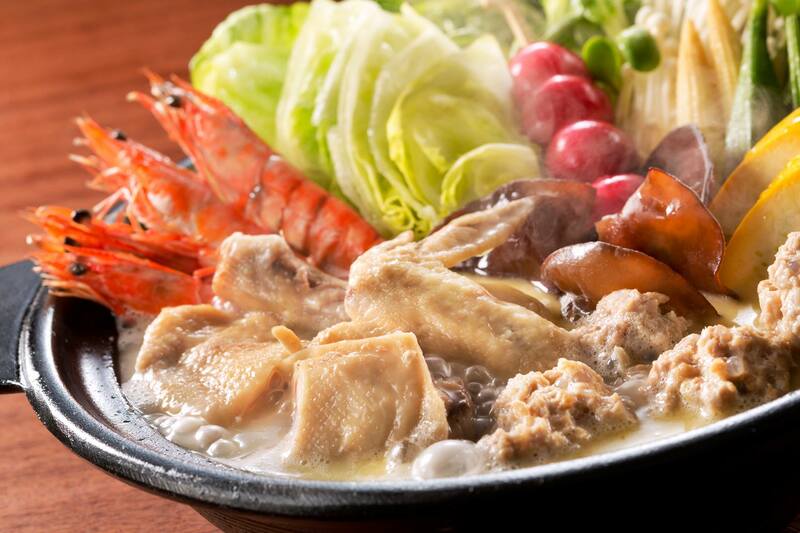 At Tsukada Nojo, you can get your wonder protein fix in a pot with their super famous Bijin Nabe – a collagen-rich creation featuring organic chicken broth and fresh ingredients like shrimp, mushrooms and chicken meatballs. It’s literally beauty in a pot. Taking care of your skin while stuffing your face? Score! From hawker stall to full-fledged restaurant, this dining spot (and household name to many locals) has come a long way since setting up shop in 1990. The main star of the steamboat is fresh sliced fish with bits of cabbage and seaweed, but do order some side dishes like the prawn paste chicken wings, braised pig trotter and prawn rolls. Go for the mala soup base and pick your level of spiciness (there’s mild, standard, and spicy). 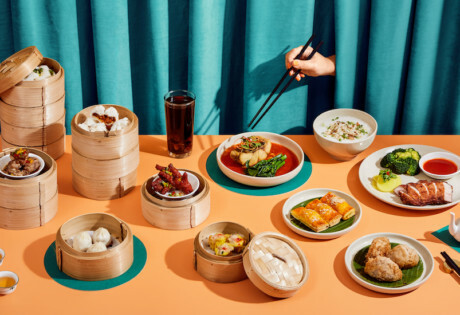 It’s an all-you-can-eat buffet concept here so pick what you like, from pork balls to dumplings. There’s also plenty of vegetarian selections and cooked food, including the ever-popular Chinese delicacy, xiao long bao. (Update: The Mushroom Pot is now closed.) Imagine all the earthy goodness when you get to choose from over 20 mushroom varieties. Ingredients are kept simple; stuff like handmade fishballs, and beef and fish slices will remind you of a good ol’ home cooked meal. Are you game for these numbingly spicy mala dishes? Heading to Hong Kong? We found fantastic Cantonese with a view at..